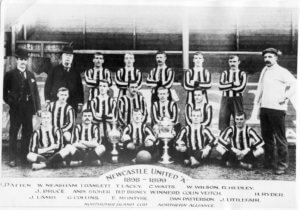 The Newcastle United Blog | » Was 1898-1899 Season A Better Start Than This One? Was 1898-1899 Season A Better Start Than This One? We kept reporting that after 10 games played Newcastle had a better record back in 1898-1899 then we had this season: back then we drew four and lost six of the first 10 games. That’s one draw more and one less defeat than we suffered in the first 10 games this season. Our information came from Wikipedia and it’s not always accurate. The Chronicle and local papers have been saying this is the worst start since 1898 – but if Wikipedia is accurate this is our worst start ever – after 10 games. Take a look at the Wikipedia for Newcastle’s season back in 1898-1899, when I was a boy. Love this photo – the moustaches and staring off to the side of the lens are brilliant. That lad on the end of the back row (left side as you look at it) is a right bruiser. Nice bit of detective work, Ed. Maybe this is the worst start we’ve made to a League season, but it won’t be the worst season ever, I feel confident of that. do you back everything corbyn says and does? so you hate Jews to? trump is a saint in comparison. You’ve blown your cover with your last post and were you around during the last war, I could imagine you collaborating with the Nazis. Can’t see Geremi in that photo…. Surely such arrangements must be questionable? Any legal opinion out there? Jib, try to restrain yourself and give someone else a chance to offer an opinion. Catchy, so you admit you disagree with some of what Trump says; thank goodness for that. If you can show me where Corbyn has claimed he hated jews or loves the IRA, I would disagree. But seeing as there is no history of Corbyn making those claims, I have nothing to oppose. lesh, I have wondered that myself, but it would require the new owner to make that kind of legal claim and by that point, Ashley will have them all bound up in NDAs and contract clauses which make it all but impossible to do so. As things stand, by transferring assets from one group company to another, he’s broken no laws that I know of, though I’m no legal eagle corporate or otherwise. I think it would need some new laws protecting sports clubs from their owners, which I imagine the Premier League (administered by the member clubs’ owners) would fight bitterly. I wonder if any of the lads on that photo have descendants that played or currently play at NUFC? We could do with a Colin Veitch now. Maybe write catchy some decent material. People don’t like to do own research and believe the trash they hear through mainstream rubbish!! Corbyn will always be a victim of this, mainly as he makes ppl aware of the Palestine people’s plight which has led to many accusations. That link you put up for the Daisy Hill was very interesting the bit that caught my eye was this bit I copied out. We got a David Beckham and he looked it on Saturday by all accounts. Our Toon he’s also a first class idiot, with a very dodgy background, I wouldn’t trust anything he says. I see it as having someone like Al Capone as president. Mind you he’d probably take that as a compliment. 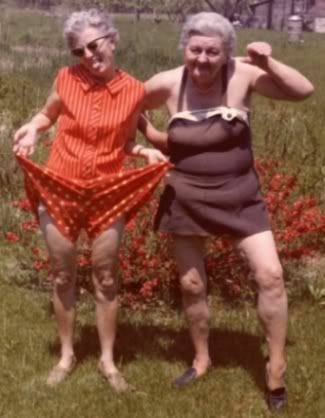 Jib……… Here are a couple of the ladies from the group Rob was referring to. I’m sure they’d be delighted to meet you. A couple more here Jib. 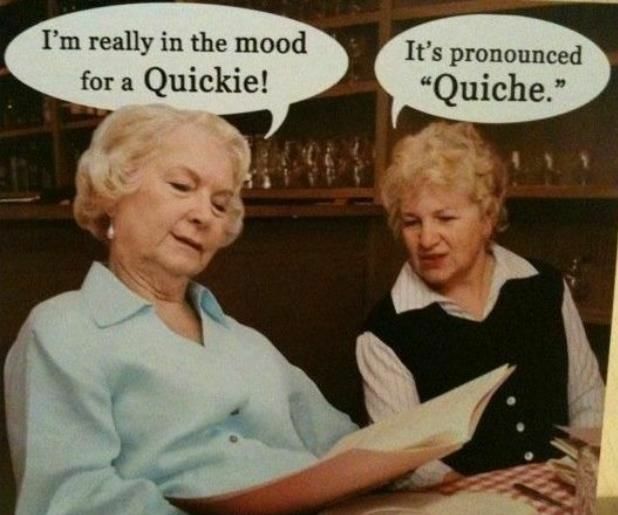 The one on the right’s really chancy! 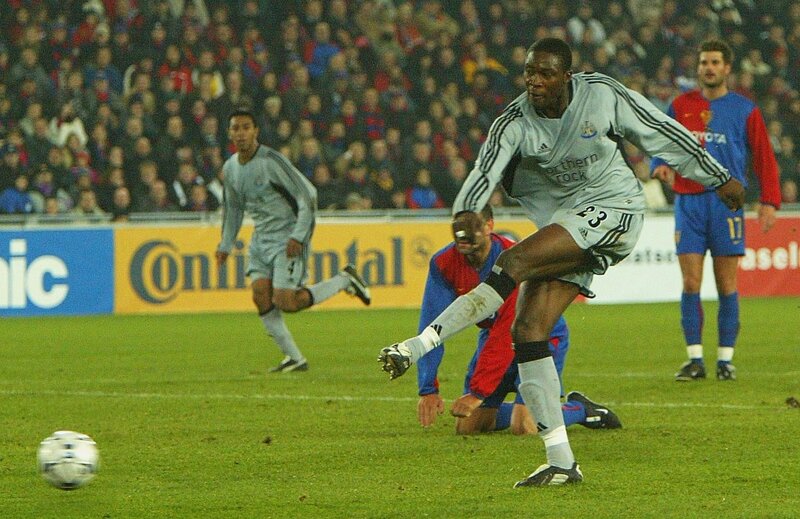 in the UEFA cup at SJP after falling behind. the last time i checked, there was 2 names, clinton and trump. I like trump because he is not a politician, He dosnt just sit and do nothing, I agree with pretty much most that he has done, i think people like Corbyn May Obama are only there for themselves, and not the will of the people. couple that with the fact he has surrounded himself with people like Abbott. I understand the plight of the palestine’s, but i also think it’s a much bigger picture than just those 2. jews used to be in most middle east countries, now there all being forced out or face death, they flee to Israel, and israel are land grabbing, the whole situation is wrong. the UK had no right to create two new countries to please the rothschild families. but hey they control most of the world and do what they want. but may be you should do some homework on trump and not just believe CNN it the BBc. Bournemouth must be the surprise of the season so far. 20 points already! Are they that much better than us? Stay tuned. By the way, I know I have to face the opprobrium of Essex today (I know what it means now, I looked it up). I was just teasing Essex. It’s a fine word (wish I had known it meself). Possibly Gomer Trump gets his first kick in the teeth today. I certainly hope so. Time for some checks and balances as the say in the US. If I watched CNN then I wouldn’t raise the Palestine issue would I? You’re right trump doesn’t sit around and do nothing, he stokes up fear especially around immigration, then heads off to the golf course. Trump surrounds himself with good people doesn’t he? He said he’d drain the swamp of politics and instead he’s run up more inditments than any previous administration in his first 2 years. Add to that he panders to the likes of David duke the grandmaster of KKK. Forget the caravan of asylum seekers as a potential threat, the main threat is right wing nuts like the guy who shot up the Jewish synagogue (Trump supporter and American national) or the mail bomber (Trump supporter and American national). Yet Saudis commit murder on foreign soil and dismember a critic of the kingdom and he stays silent, all politicians are the same, so try to do better but can’t as outside factors play a huge part. Trump is nothing but a sadistic idiot who’s only way to try to rule / win is to divide and fear!! Says alot about you catchy that you think he’s someone that gets something done!! The fact you are sending a link to Corbyn not condeming the shooting at the synagogue is baffling as well. Trump supporter who shot up the synagogue, listened to the hatred trump spews daily and acted upon it. You blame Corbyn for not saying anything yet praise trump who’s words led some right wing nut to shoot and kill!! Even the Rabbi of the synagogue came out and said trumps hare speech on migrant caravan is what inspired this guy to massacre innocent people, the killer even said himself jews helped migrant caravan. I was actually surprised by the quality our 3 subs showed in the last match. But scratch a little deeper and it would be difficult to find a fourth of that level on wor bench. I have been disappointed with Atsu for a couple of seasons now, and I absolutely don’t know what to make of Murphy. It’s early doors to be handing out the YUK CUP award but you have won it hands down today for your enquiry over shagging the old age pensioners . Jib man ! Nearly choked on me Lamb Chop ! You can take the Lad out of Benwell….. I honestly wanted Fulham to win yesterday, I think the manager will get the sack, they’ll spend big and that’ll save them from the drop. I think Murphy should’ve given a chance ahead of Ritchie, it’ll give us more pace on the counter and an actual winger who can go past a fullback. Ritchie is a grafter but not much else to his game, get them crosses in and get crosses in for Rondon. Good link for Jib , Jib’ll have the one on the right and the one on the left . He lovers varicose veins on a woman . He’s a dorty tatie . Well said OurToon. It’s a big match for us. We have quite a few of those ahead including Burnley and West Ham. It’s an interesting thought OurToon. I think Murphy needs more playing time as well. His brother seems to be developing faster than he is but it could be down to minutes played. Burnley might even drop, they’ve not been able to replicate the form of last season! Either way I feel so much better after the weekend win!! Important to build on it. I think Burnley and West Ham are must wins before Christmas. Fondle the Points! Not you jib. Keep those sticky little fingers oot! Where the Fekir would we get that kind of money jib?